We take pride in supplying top quality products, and are committed to providing an excellent service to customers. Our staff are fully trained and qualified to give technical support and advice in your product selection. We are dedicated to bringing you the latest in technology at competitive prices. We can offer Dimensional measuring and Metrology equipment from an extensive range of Manufacturers, including: TESA, Bowers, Gagemaker, SPI, Diatest etc. 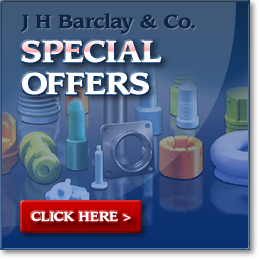 JH Barclay can also offer a Service and Calibration Service on a variety of items. We welcome enquiries from throughout the UK. For more information or advice on any of our products, please contact us on +44 141 638 9382. If you need to contact us after hours; or to be kept updated on new products, please fill in our Enquiry form. a range of 6" Digital Calipers, which we can offer from stock. Seals and a range of ANSI Flanges / Adaptors. We can fit to required pressure gauges and fill systems. Copyright © 2011 J H Barclay & Co.
53 Burnfield Road, Glasgow, Scotland, G46 7PY.